Watching the first 10 minutes from this documentary I quickly recognised myself in Kin Anderson’s words when he describes himself as being an “environmentally conscious person”. According to him, he always watches his water usage (having extremely quick showers), makes his own compost, recycles his waste, cycles everywhere, and many other things he believes would help to save the planet. However, he wasn’t convinced that he was doing enough and, digging up for alternatives, he discovered that animal agriculture is the number one cause of environmental destruction at the moment. So a better solution would be going vegan, following a 100% plant based diet. 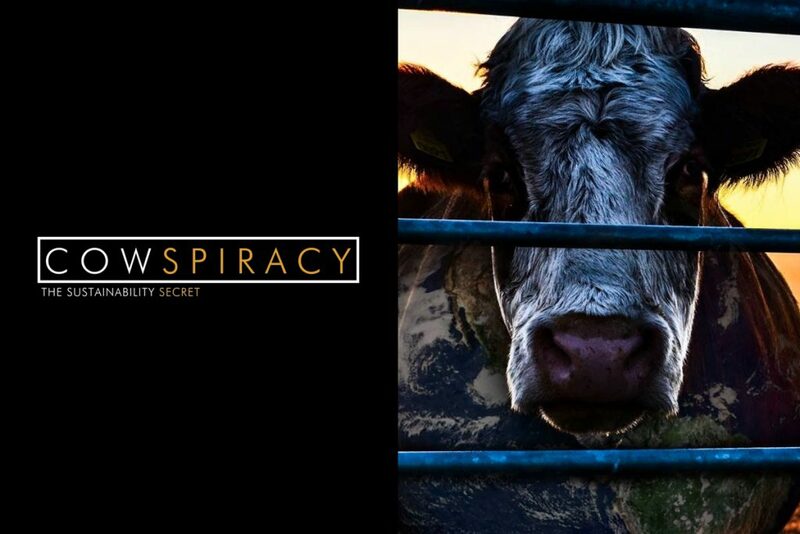 Cowspiracy: The Sustainability Secret is a very informative documentary and makes you rethink your meat consumption. I’m not vegan, not even vegetarian, but I do think about the environment and how I can do my best to help save it – you know, being a good boy/girl scout: “leave the planet better than you found it“. I’m not sure yet if I would change my diet right way to such a restrict model, but I reduced my meat consumption for at least some time now. Having it only for a maximum of one meal a day, and also avoiding dairy products (because, after all, milk comes from cows :P). I know is not that much, but we need to start somewhere, right? I’ll leave you now with their official trailer (the full documentary is available on Netflix). 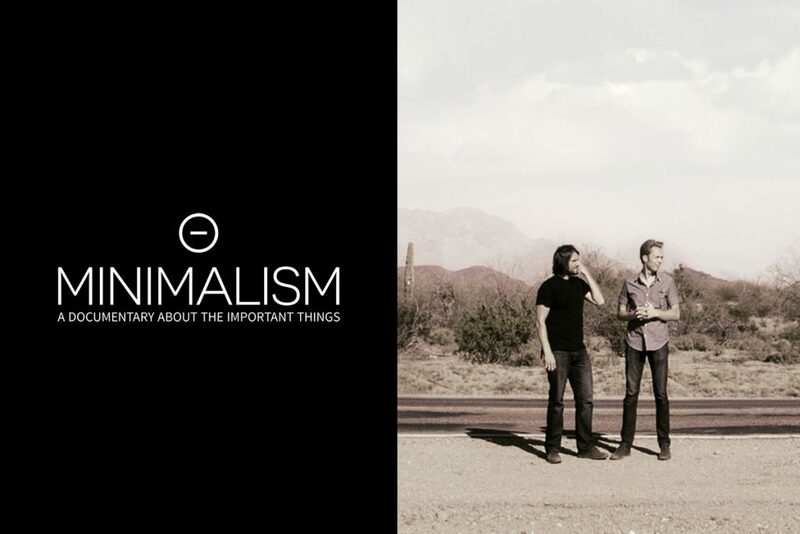 Minimalist is a wonderful documentary that makes you think about the consumerist world we have been living. Surprisingly it’s not only about marketing and targeted advertisement, but also about the collective feeling we have creating an urge to buy and possess an endless number of things. Have you ever asked yourself if everything you, already own or still want to buy, is truly necessary? Two and half years ago my husband and I decided to move to Australia and I had to exercise this thought in real life. It was our first time here and we weren’t sure if it was a temporary or permanent decision, either way we decided to bring only things that would fit 4 suitcases weighing a maximum of 32 kilos each. Everything we owned in Brazil was pretty much sold or given away. I just kept a small carton box at my parent’s house with a few items of emotional value. In simple terms, things were either packed in our suitcases or gone for good. Then, by organising the things we would be selling/giving away I realised how much we’ve accumulated over the years. I had things like kitchenware that I never used! Untouched stuff gathering dust inside my cupboards. Same for clothes, shoes, papers, books, and many others things. That moment I decided I’ll ask myself 100 times if I really need a certain thing before buying it. Since we moved here, this way of thinking seems to be working well. A good example is that we don’t have a microwave at home. I discovered that this modern-item-that-every-kitchen-seems-to-need, it’s not important for me and I’ve been living very well without it. Of course, there are temptations, sometimes I spot a very good deal and I can clearly hear my wallet trying to convince myself it needs to be open. It’s a matter of focusing on what is important for you and whether that product will really make any difference in your life. I’ll leave you now with their official trailer (the documentary is available on Netflix). 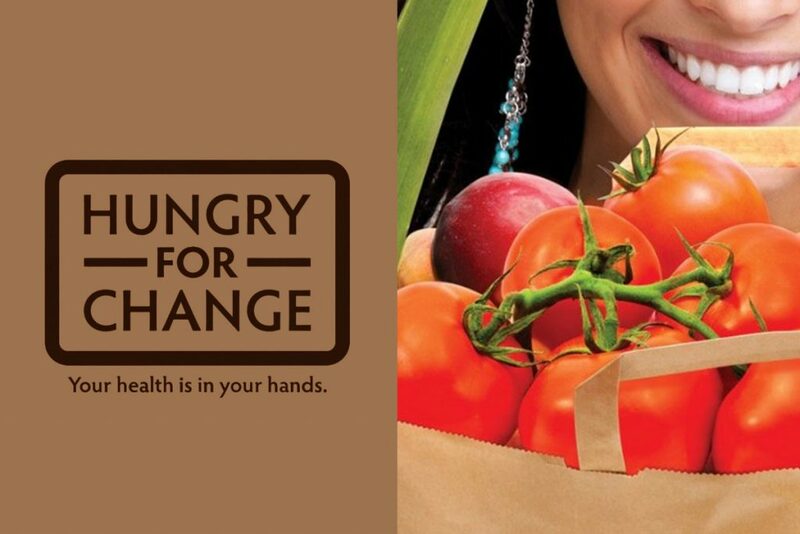 Hungry For Change is a documentary created by James Colquhoun and Laurentine ten Bosch, both nutritional consultants and filmmakers. Over 1 hour and 29 minutes, the creators try to expose what constant dieting, weight loss, and the food industry do to our bodies and how you can overcome it by starting a healthy life, eating whole and nutritional foods from natural sources. Modern lifestyle that leads to epidemic obesity. Huge offer of tasty but poorly nutritional food. Marketing and industry tricks to make you eat and buy more processed food. Discuss sugar consumption and how it triggers our brains to eat in excess. High consumption of refined carbohydrates. Fat free products, “their healthy appeal” and their hidden sugars. I believe this documentary is perfect for those lacking a bit of foundation knowledge about health and general well-being. It’s a good choice to send to that friend we all know that should consider having a bit more of information about the topic, or maybe had just started thinking about the subject. 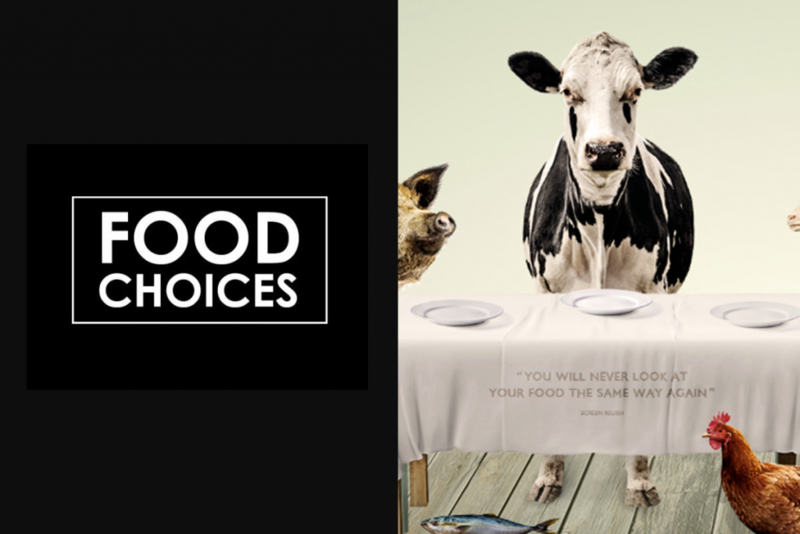 Food Choices is a documentary about how our dietary choices can affect not only our daily lives and health, but how also they can affect the environment and global ecosystem. According to author and filmmaker, Michal Siewierski, a plant-based diet is the key to achieve a healthy life and to save our planet. I do believe our choices have a huge impact on the planet, however, the documentary sounded a bit shallow on some aspects for me and didn’t make me change my mind about meat consumption. Anyway, I always like to watch documentaries with different views about food so I can always keep my mind open and expand my own opinions. Another interesting topic in the documentary is the difference between veganism/vegetarianism and a plant-based diet. According to Michal and several specialists he interviewed to make the documentary, there is a huge difference between the 3 of them. A vegan/vegetarian person will not necessarily have a healthy diet, perfectly eating processed food instead of whole and nutritionally dense food, which is the plant-base diet proposal. 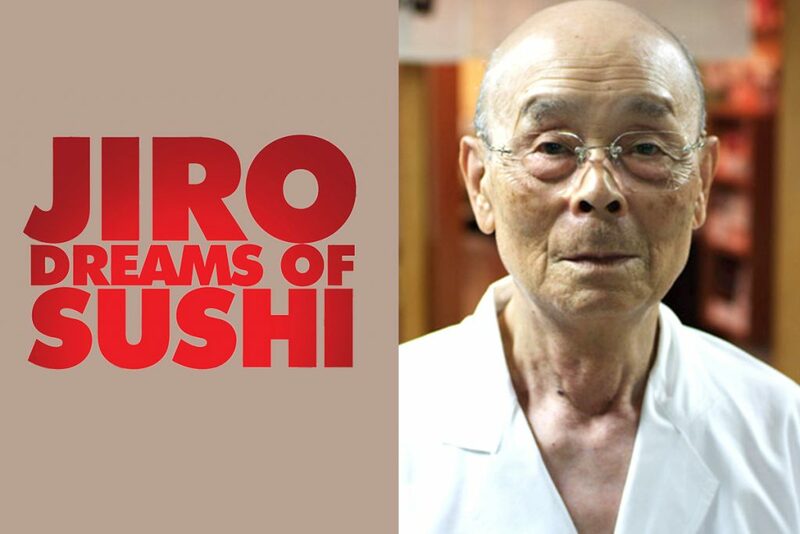 Today I bring you an old but gold very good food documentary: Jiro Dreams Of Sushi. This is the story of Jiro Ono, an 85-year-old Japanese chef, who owns the only sushi restaurant in the world awarded a prestigious three-star Michelin Guide rating. This documentary is a beautiful meditation on hard work, family, and the art of perfection. Jiro is a very inspiring guy, he never stops working, living in a very simple way and focused on always being able to serve the best sushi in the world for his customers. You can see his attention to the quality of ingredients (how they were transformed negatively over the years due to environmental changes), the perfect size for a single bite, the perfect moment to be served. Everything is meticulously planned. Anyways, if you are a fan of the Japanese culture and cuisine, or simply a foodie, this documentary is totally worth. You can find it on Netflix, but below I leave you with the trailer.